When you begin to think through something that might change the present dynamics within innovation and its management it becomes exciting. When you develop an emerging answer , by recognizing one really critical gap that needs filling, it becomes hugely exciting actually. Not just in researching it, in debating it but in eventually constructing a sound framework, that is visual, easy to connect too and for hopefully many to become involved and engaged with, brings this work together into a realization that is really rewarding. For Jeffrey Phillips and me, we believe we are offering something that makes sense through our framework, which we call the Executive Innovation Work Mat, with a link to the short introductory series, published in September 2012. Let me lay out the overarching proposition for this. We believe there is an essential gap within the way we set about innovation today. There is a need for a well-articulated and well-communicated innovation strategy that can be delivered in an organizing framework that we have called the Executive Innovation Work Mat. The work mats aim is to engage the top of our organizations to lay out the conditions and result impact they expected from innovation. This framework provides the guidance through its seven innovation domains that combine to move towards an explicit innovation strategy, that is looking to align far more to the organizations growth goals and strategic intent than most organizations deem to achieve today. In obtaining the right innovation engagement at the top of our organizations, well communicated, we reduce distance and bridge many current disconnects surrounding innovation. The end result is we gain identification and we believe improve organizational responsiveness through this involvement. It can deliver the essential alignment that innovation requires to support an organizations strategy and goals. The framework provides both formal and informal mechanisms, it combine the intrinsic with the extrinsic, so as to make up a more effective way for decision-making and creating innovation to take place. This combination effect provides the necessary support to the efforts involved in discovering, exploring and executing innovation and a significant contributor to the strategic and tactical linkage needed within the organization. Innovation is not an isolated event; it is not made up of islands of knowledge. Innovation requires a “pulling together” and needs this overarching organizing framework, that provides the deep, enduring commitment to its constituent parts from the top of organizations in the support and the understanding required to make this happen. The framework provides the innovation leadership, it lays out the “conditions” for innovation through the work mat methodology. The leadership have the underlying responsibility to establish it, leverage it and effectively work it fully through, using this framework as the mechanism for sustaining the innovation focus in a well-structured way. 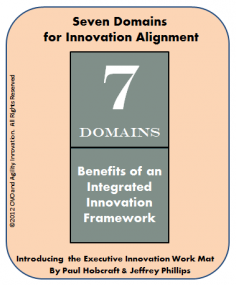 This gains a real organizational value as it provides the top-level understanding of the seven essential domains needed to support innovation that covers the structure, design and process, governance, motivation and metrics and the conditions to strengthen the climate and environment to bring this to life. This framework provides a uniforming and growing cohesion required for innovation to be focused, it seeks greater alignment in activities and engagement around innovation; it actively works at reducing barriers and many of today’s uncertainties through its constant engagement, communication and dialogues prompted by its construct. The framework becomes the document of the leaderships commitment and engagement, it raises innovations visibility in a structured thoughtful way, it seeks to encourage and draw in the organization for them to gather around. Eventually we can see this framework becoming a sort of innovation mechanism for the “collecting house in meaningful exchange on innovation” where the essential strategic activities are captured and where the actions can be recognized, measured and valued. It triggers engagement and provides the motivations to delve even deeper into generating greater innovation outcomes as the end result around its framing ability. Eventually it forms a significant part of the required innovation ecosystem. 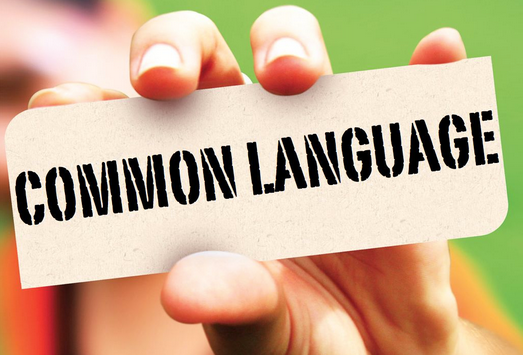 A place where a common language forms, a clear explicit place where context connects with the work going on and the value of this is how the people involved in innovation work, connect and engage. A dream, no, it can be a reality. We need to provide increasing clarity and purpose to each persons daily work, to their innovation activities, so all draw meaning and value from the connections across the framework, they recognize the boundaries and push beyond in confidence, not fear. They need the appropriate “signal” and guidance from the top to gain encouragement to push the boundaries of potential but set within this overarching frame. Risk is identified through dialogue and governance on what any actions mean and the understanding of these for any impact, negative or positive, on our innovation ecology can be evaluated. This pushes innovation beyond the normal incremental approach often found today, as leaders become more aware and can “frame” issues and understand opportunities better through their strategic lens. The leader’s role is to provide guidance, strategic and sometimes tactical guidance, as well as to offer inspiration and clarity of purpose. They need to “draw out” the essence of an organization’s desire to innovation. By both articulating and nurturing innovation through this framework then innovation is driven and directed, then surely we are headed in the right direction. An organizational framework for innovation draws people in, it achieves connection and engagement. If innovation can “resonate” throughout the organization it gains the “required attention”. It becomes embedded as the “force” essential for growth and over time part of our “natural” daily occurrence . We need to cultivate innovation. It is the primary source of new wealth creation, of sustaining a healthy future, of securing that future. Each of us needs to personally understand how innovation happens, what are the ‘multiple’ connecting points, all the intersections and cross-over points needed to make it work, and work well repeatedly. Innovation cannot be delegated, it needs to be mastered, it needs to be shared. We all need to become “innovating conscious”. Everyone needs to “get it” not just a few selected people today. 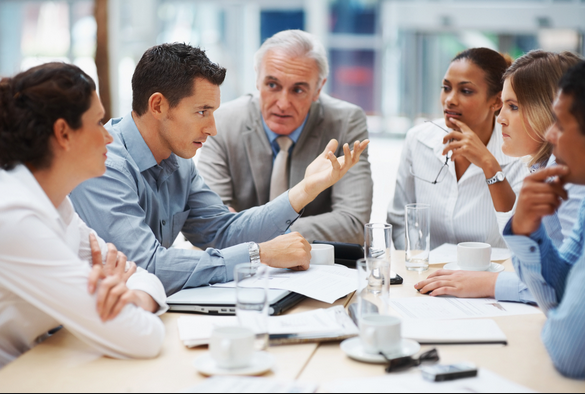 What the executive team does, in what it communicates in its actions and behaviors, in its participation and its resource funding of innovation, becomes vital. Innovation runs counter to many of the existing (accepted) processes and faces stronger “head winds” and resistance because it challenges many of the existing practices and processes honed and established over many years. It needs executive leadership to manage these tensions and dynamics. To show innovation leadership. This framework becomes the “glue” that connects across the seven domains essential to innovation and re-enforce a consistent need to challenge, overcome yet equally maintain performance. People make or break innovation. Innovation is an inherent social activity that needs relationships, networks, structures and supporting systems. People need to belong, belong in an environment that nurtures and encourages innovation, in a community that balances risk and learning, a place to generate and execute. A place to experiment and learn. From the top to the bottom of the organization requires active engagement, growing identification and understanding and knowing that the skills, exposure to competencies and building capabilities is an on-going process that feeds off a climate of trust, mutual respect and ever evolving partnerships to achieve the work that is needed can be done. The framework itself will generate work flows that link, become more dynamic to explore and promote the innovation skills, capabilities and competencies needed. They become more cohesive, coordinated and focused. It seeks to reduce tension and increase the dynamics within innovation. As the framework connects, in its understanding and as its impact grows, we certainly believe, confidence builds. Both formal and informal areas are addressed in parallel, growing all-round identification and alignment. You begin to align compensation and incentives into your abilities to generate the innovation activities that provide the impact the organization is looking for. creating innovation governance frameworks and provide the environment to allow innovation to function and thrive. While few executives will conceive the ideas that become best-selling products and services, executives must orchestrate and lead the rest of the organization, in building a culture that embraces innovation and provide the leadership and guidance innovation demands. Leadership is certainly seeking more innovation in their business models, more distinctiveness in their innovation offerings, a wish to explore different options. To meet this, they need to become more involved in all aspects of innovation to achieve this innovation improvement and reduce uncertainties that lies often within their own minds. I would suggest it is through this framework that it becomes the focal point and offers the mechanism to provide these necessary conditions and can set the “pulse”that enables the innovation juices to flow. The competitive pace today and for a sustaining future requires innovation engagement from the top. Executives who understand their role in shaping innovation frameworks and activities, and, more importantly, increasing opportunities and engagement for the entire organization, that can be “driven” through this framework, will deliver better and more sustained innovation outcomes by its engagement effect. Innovation needs to be seen coming from the top as compelling. There are some very compelling arguments why the leadership of our organizations do need to become fully involved in providing and guiding the innovation design. Organizations need an overarching strategic design for innovation and this must come from the top. Here are two series of short papers laying out the business case for the engagement of the top of our organizations within innovation, based initially upon turning the buzzword of innovation into the imperative and a further set of papers based on leaders need to engage and drive their innovation needs to achieve the strategic growth they believe is achievable. We need to reduce this present gap of poor innovation leadership; we believe the Executive Innovation Work Mat approach can definitely help towards this goal, it has real value to investigate, construct and implement as an overarching framework for innovation alignment within organizations. This entry was posted in Uncategorized and tagged achievement in innovation, Common lanaguage for innovation, executive innovation work mat, implications of innovation, innovation management needs, Innovation Structure, leaders work mat, proposition for innovation, shared understanding of innovation, Work Mat Series. Bookmark the permalink. Pingback: Gregg Fraley | Do You Want Innovation or a Dirty Martini? Thanks for this Paul very informative and educational. I noticed in the white paper you use more the once the phrase “lower/reduce” risks which is certainly building a good feeling in the reader. Thanks for the observation over lower vs reduce. Mind sets are notoriously hard to change but your point is valid. To convey the message of managing risk makes better sense. Thanks for the point. Getting them to begin to think through different innovation, away from incremental all the way to disruptive needs staging and constructing. Experimenting gives a greater feel to managing (or reducing) risk but building any portfolio needs organizational commitment. Pingback: Innovation Excellence | CEOs: Does Your Team Have Control of the Ball? Pingback: Innovation Excellence | 2014: A Magic Tipping Point for Innovation Change? 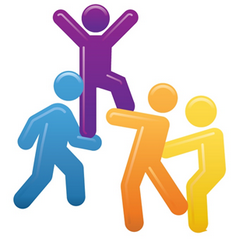 Pingback: Innovation Excellence | Why do People Participate in Idea Schemes? 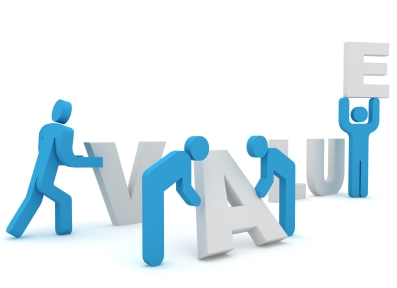 Pingback: Innovation Excellence | Measuring the Innovation Process. What you need to know. Pingback: Innovation Excellence | So What’s Your Story? Pingback: Innovation Excellence | How to have Brilliant Ideas: Can you trust in the slow hunch?